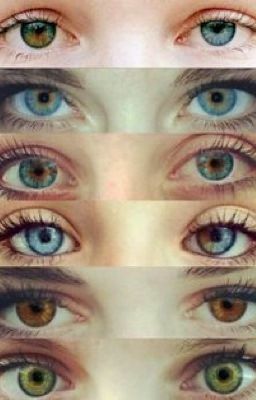 Everyone in the world is born with Heterochromia, their right eye is their true eye color, while their left eye is the color of their soulmates eyes. It's when you see the same pair of eyes staring back at you, do your eyes match once again. Unfortunately in the world of the shy scrawny teenager Mari, is this search futile. Her parents always getting her to meet guys, when none are ever truly the one and her friends all finding their soulmates before her. How can Mari find the one she loves when she can barely take her eyes off the ground to look into the eyes of another.